The Aquor team met with scores of luxury builders at the 2017 TecHome Builder Summit, and those contacts are helping them reach new distributors in previously untapped markets and change their overall business strategy. It didn’t take long for the Aquor Water Systems team to reap the rewards from its sponsorship of the 2017 TecHome Builder Summit. The company closed a deal with luxury builder Rachel Matthew Homes on-site in Phoenix. 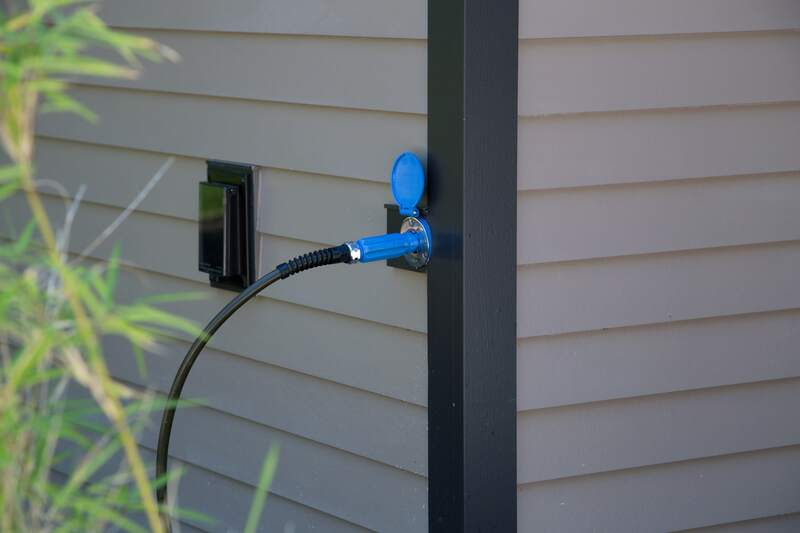 That has been just the start of the event’s success for the maker of the revolutionary House Hydrant in-wall faucet system. 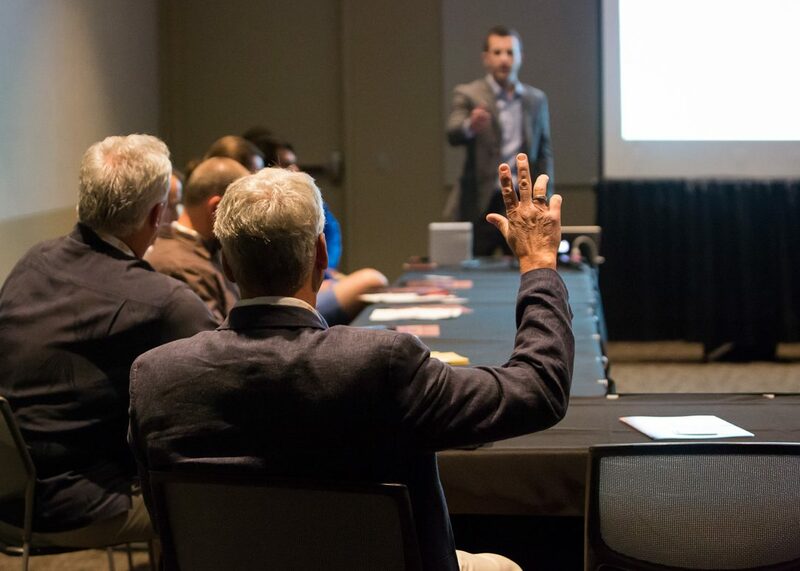 Since the conclusion of the Summit in December, Aquor VP of sales Shawn Tramble has been busy following up and meeting with all the builders he met during his boardroom presentation and one-on-one meetings. That has turned into a steady stream of new builder partners. Builder Rex Bost asks a question during Aquor’s boardroom presentation. The list of influencers and markets Aquor has a presence in is much longer now than just a few months ago. At the 2017 TecHome Builder Summit alone, Tramble has established relationships with the Ainslie Group in Virginia, Baud Builders in Rhode Island, Bello Custom Homes in Colorado, Bost Custom Homes in North Carolina, Cabin John Builders in Maryland, Fasse Construction and Development in North Carolina, Hardwick General Contracting in Florida, Morse Homes in Louisiana and NorthStar Luxury Homes in Texas. They each have been able to open doors for Aquor in their respective markets on multiple levels. “Each and every time I’ve been able to work with one of the builders that we met there, not only do we get that business to help out our bottom line, it’s multiplied ten-fold past that point, which is amazing to see,” says Tramble. 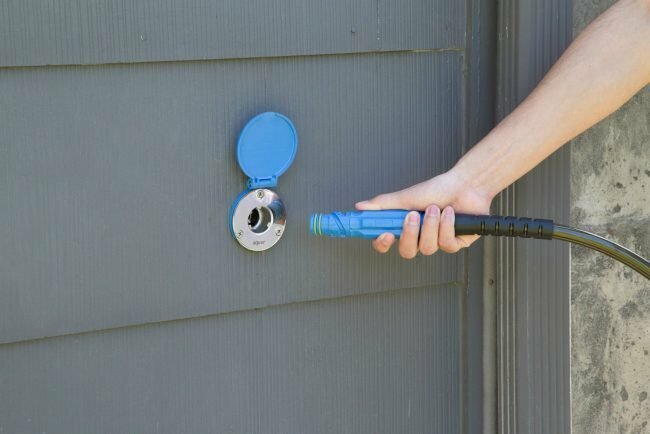 Many of those builders have put Aquor’s House Hydrant in their homes, but they also have helped do something even more valuable – get the product in with their local distributors. So, even if Aquor’s direct deals with the builder are worth only a couple thousand dollars, getting in with those distributors can be worth tens of thousands. That bang for the buck can be traced back to those initial meetings at the Summit. That success has caused a shift in business strategy. When Aquor attended December’s Summit, Tramble’s main focus was connecting with and striking deals with builders who could get it into their homes. After discovering the opportunities those distributors present, Tramble now has another avenue he can explore. “I am a big networking guy, so I like to leverage my network into other cool places to showcase the Hydrant,” explains Tramble. “I do think going to the TecHome Builder Summit really established the strategy for which Aquor is now operating out of. Aquor’s patented twist-lock design prevents leaks, and the stainless steel body protects against freezing. Now that relationships are moving along with many builders from last year’s event, Tramble can continue to work on those throughout this year while looking ahead to the next Summit. There, he hopes to re-connect with some of the builders he has fallen out of touch with in the recent months, while establishing new contacts that will help him continue to expand into other geographic areas. He also may begin to reach out to builders in the high-volume and multifamily segments of the event to grow the business in those areas. Whether he remains focused strictly on the luxury market or extends to a broader customer base, he is anticipating another strong event connecting with the nation’s top builders.